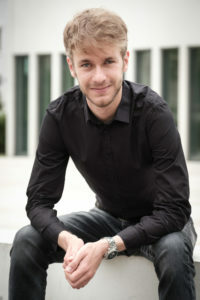 Yannick Süß is a German video game composer. Since 2010, he has written music for video games like Europa Universalis 4 (Paradox Interactive), Crusader Kings 2 (Paradox Interactive), The Guild 2 – Renaissance (JoWood Entertainment) and The Guild 3 (THQ Nordic) and has created concert arrangements of various film and video game soundtracks to be performed by orchestras and ensembles or by himself on the piano. In 2012, he co-founded the company Audinity. In addition to being a composer and arranger, Yannick has worked in strategy consulting and film concert production. He has been speaker at various events and conferences, speaking about topics ranging from “Designing Game Sound” to “Cultural Entrepreneurship”. In 2018 he was guest lecturer at the University of Music and Performing Arts, Munich and did game music mentoring at the SAE Institute Munich. Yannick holds a Master’s degree in Cultural and Music Management from the University of Music and Performing Arts Munich, Germany, as well as a Bachelor’s degree in Musicology and Music Education from the Catholic University of Eichstätt-Ingolstadt, Germany. In 2016/17, he conducted the Game Audio Industry Study, in order to collect important data about the game audio industry.